‣ In the Xsheet view’s right bottom corner, click the Overwrite/Insert button or press [I]. By default, the Xsheet view is set to Overwrite mode. 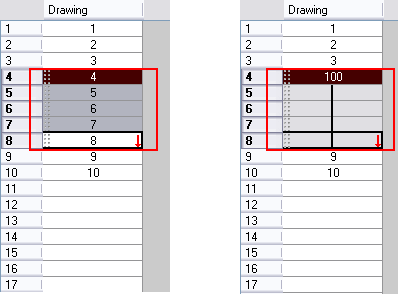 Add a new value or a new value sequence overwrites existing ones. 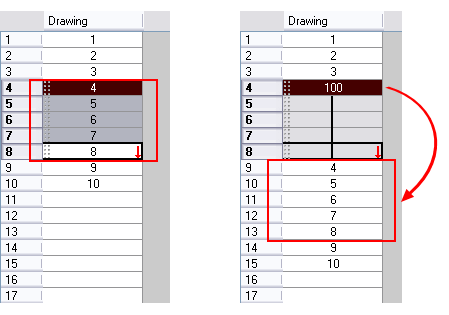 The existing timing sequence remains in the same place and is not pushed further down the column.